Are you considering a spring-time holiday to a far flung island paradise? 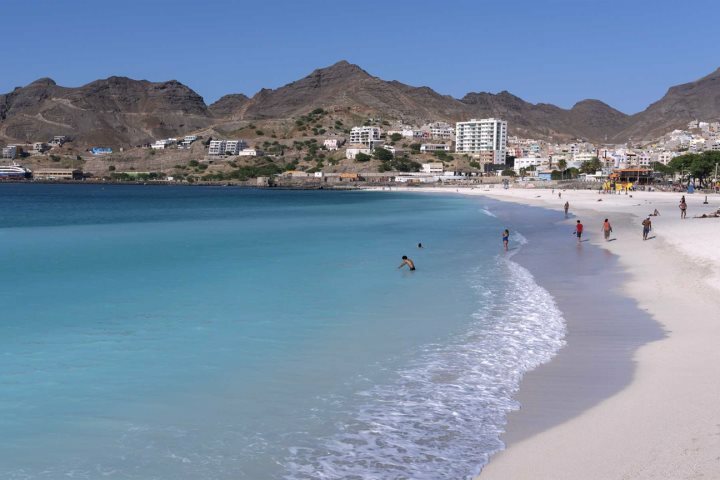 Whether you're a regular visitor to the Cape Verde islands or you're thinking about making it your first, there's a plethora of memorable activities to try; especially when you consider hopping over to some of the lesser-known islands of the archipelago. 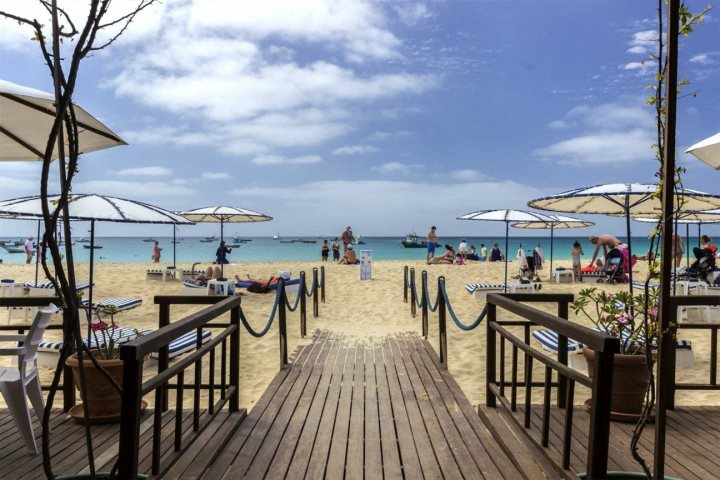 With more than one island in the running for a blissful beachfront escape, you're truly spoilt for choice when it comes to a beach holiday in Cape Verde. Average temperatures hover around the mid-20s, but another great aspect of a visit during April is the fact that the ocean is a warm 23°C (removing the usual personal negotiation whether to take a run and jump or ease yourself in slowly). The winds have also died down at this time of the year, so although you can of course still get out on the water, April makes for perfect sunbathing weather too. Santa Maria Beach on Sal island is the perfect spot for first-time beach-loving visitors, as not only do you have a long expanse of soft golden sand to lay down your beach towel, but there's also a couple of beach bars and a makeshift caipirinha cocktail stand right on the sand. The main town is also just a couple of minutes' stroll from the pier-end of the beach, which is also a fantastic spot from which to watch the locals bring in their catch of the day. Find out more about Sal. 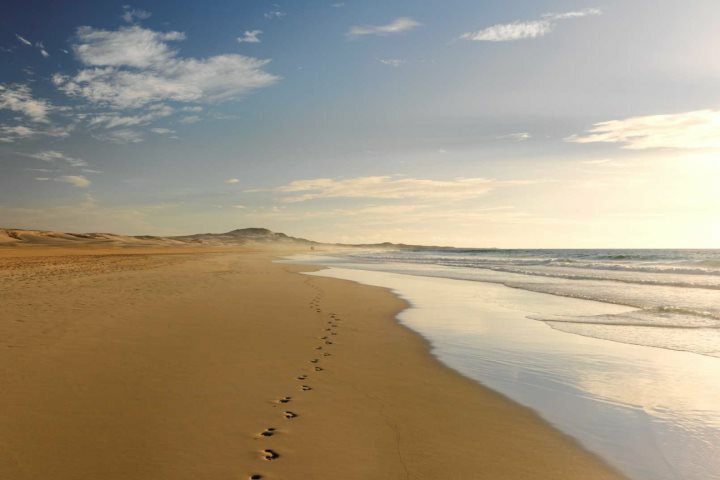 Boa Vista will spoil beach lovers even more with its untouched, uncrowded, miles upon miles of sand. Taking Praia de Chaves as a prime example (and also because it's known as one of the archipelago's best beaches), you can walk for miles, take a dip in the ocean, try some water sports or simply admire the views from your chosen beachfront resort. 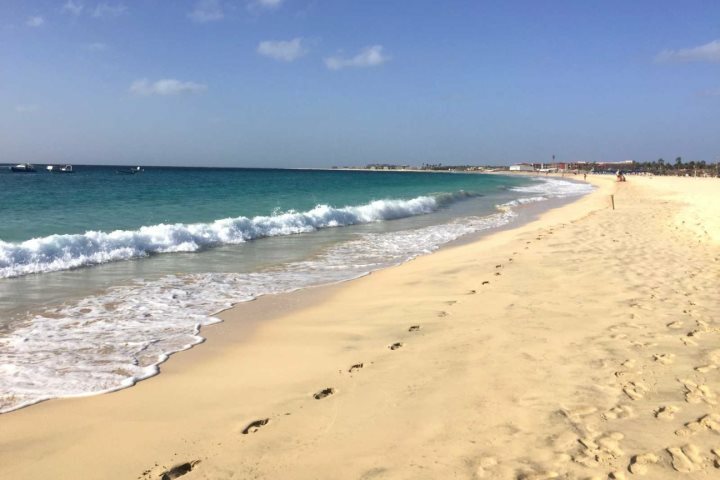 Find out more about Boa Vista. 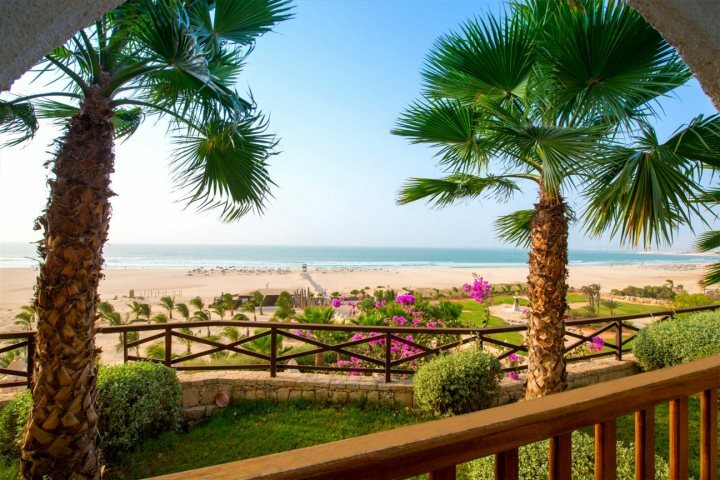 Above: Views over the beach from the Iberostar Club Boa Vista. 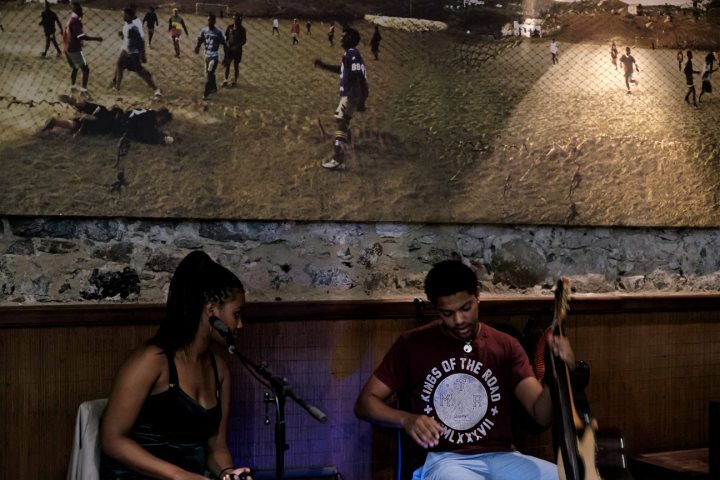 São Vicente is best known for its culture and music, with local musicians performing in the cafes and restaurants most evenings. It's here you'll get the most incredible insight into local life, and although it's not particularly well known for its beaches, there is a little gem here which will make beach lovers swoon; Laginha Beach. 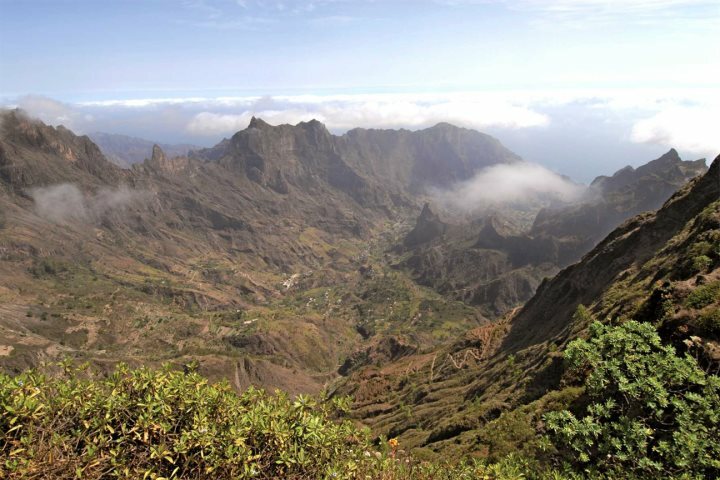 A single bay of white sand and lapped by turquoise waters, on a clear day you're able to see the magnificent peaks of Santo Antão in the distance, enticing you to come and explore its rugged interior. There are also some fantastic water sport beaches with dark golden sand, perfect if you're a keen kitesurfer. 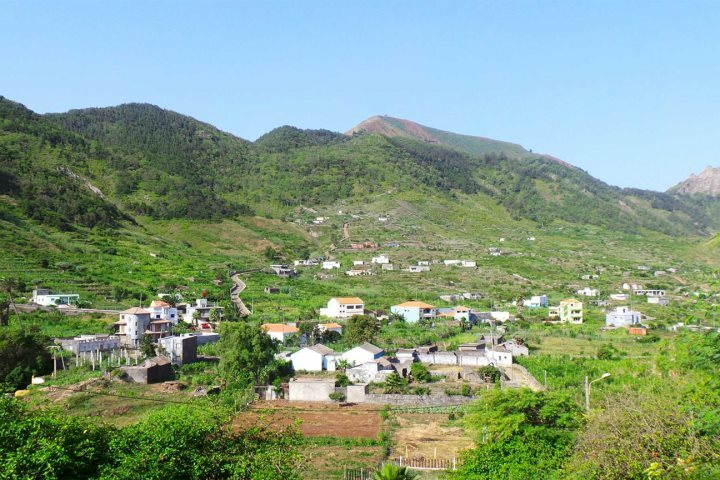 Find out more about São Vicente. 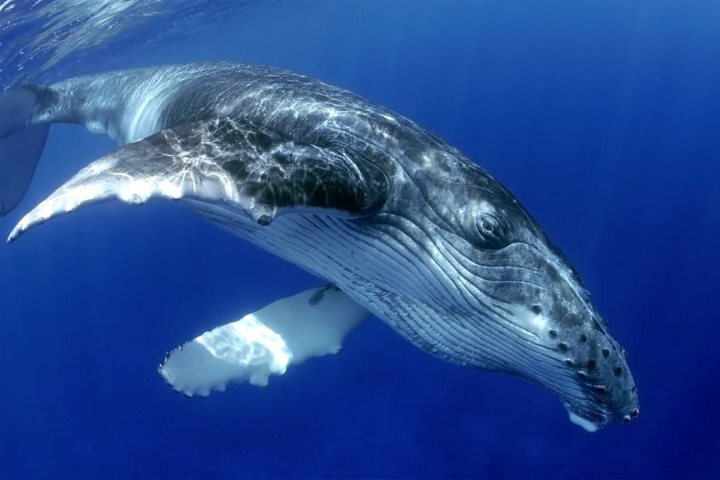 April provides a chance to head off aboard a catamaran and see if you can spot some of the magnificent humpback whales. Find out more about whale spotting in our blog post. With precipitous green peaks, jaw-dropping ravines, cliffhanging towns and valley-hugging villages, walking on these island is an exciting prospect for keen hikers, or even anyone new to the activity. Lots of different guided walking tours are available through our excursions programme, and the not-scorching temperatures during spring mean that you shouldn't get uncomfortably hot either, which is a bonus! For those with a driving license and an eye for adventure, be sure to embark on an afternoon quad biking session. 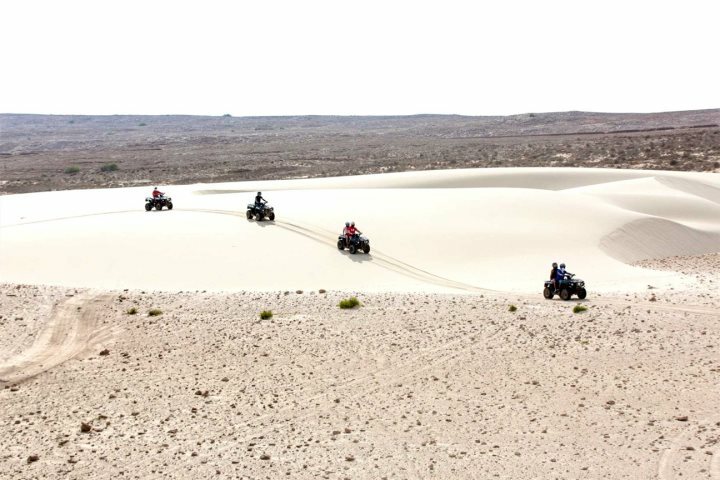 Boa Vista is a particularly rewarding island to choose to do this activity, as with the 55km of beaches and the Viana Desert at your disposable, you'll see some fantastic sandy sights. A slightly more relaxed pastime, those who want to discover some of the archipelago's most unique characteristics would be best placed exploring the island of Fogo. 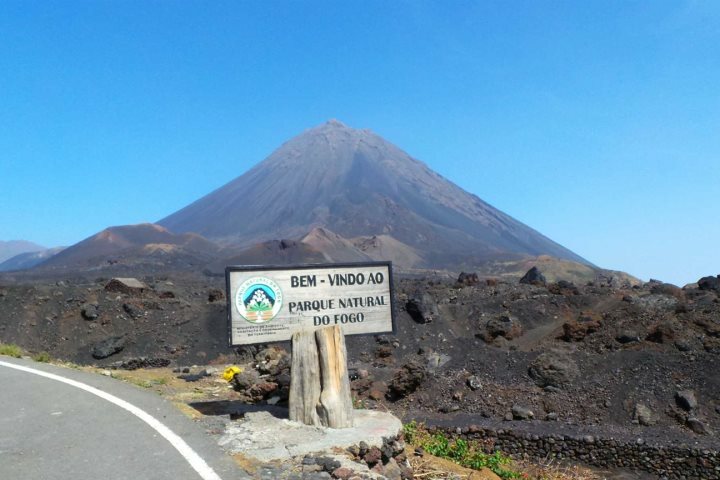 The fertile slopes of the volcano produce the coffee beans and grapes which go into Fogo's very own wine and coffee; which is definitely worth sampling. For those looking for a bit more action, you can hike up to the volcano crater to admire the incredible views! Find out more about Fogo. 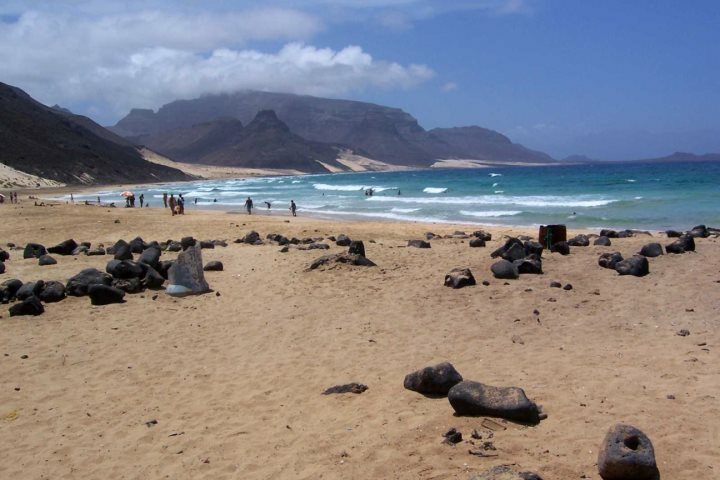 When it comes to adventures in Cape Verde, the above are just the beginning. 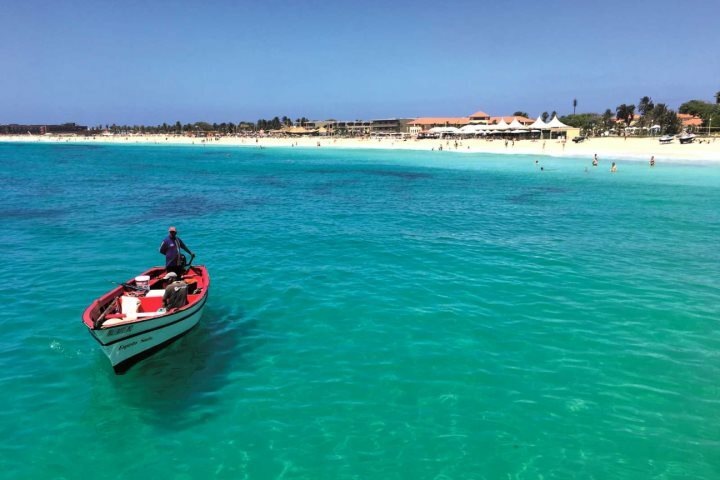 Boat trips and island tours, island hopping and evening excursions are all on offer, and with spring just around the corner, it's time to explore what your holiday to Cape Verde in April looks like.